Our post-natal classes are specifically designed for both mums and bubs to experience together, as you rebalance your body after pregnancy while deepening the bond between you and your baby. 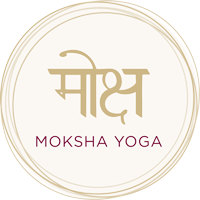 Each class provides the rich benefits of postures for both mums and bubs, along with exploration of breathing practices (pranayama), relaxation and meditation. For you as mums, the gentle yoga postures will assist in regaining strength, flexibility and postural alignment post-pregnancy, with an emphasis on increasing pelvic stability and easing tightness throughout the body. It also provides a relaxing and supportive environment to meet with other mums and their bubs, allowing you to share your emotions and the beautiful journey of early motherhood. For your bubs, this nurturing time includes stretching, massage, singing and rhymes, all while helping to support their immune system, digestion and natural development. There is no expectation for your baby to behave in a certain way during the class and if you need to feed or change your baby during the class you are more than welcome to do so! Registration and payment is required prior to course commencement – secure your spot today as places tend to fill quickly! Don’t hesitate to contact us if you need any further information. **Missed the start of the term? It’s still great value per-class to enroll a couple of weeks in, or feel free to contact us at any time to discuss the best option for you and your bub!